When you’re the manager of a commercial kitchen, one of your most important imperatives is to make sure your kitchen is set up for safe cooking at all times. You definitely don’t want to put your kitchen staff and customers in danger by failing to abide by key safety regulations. 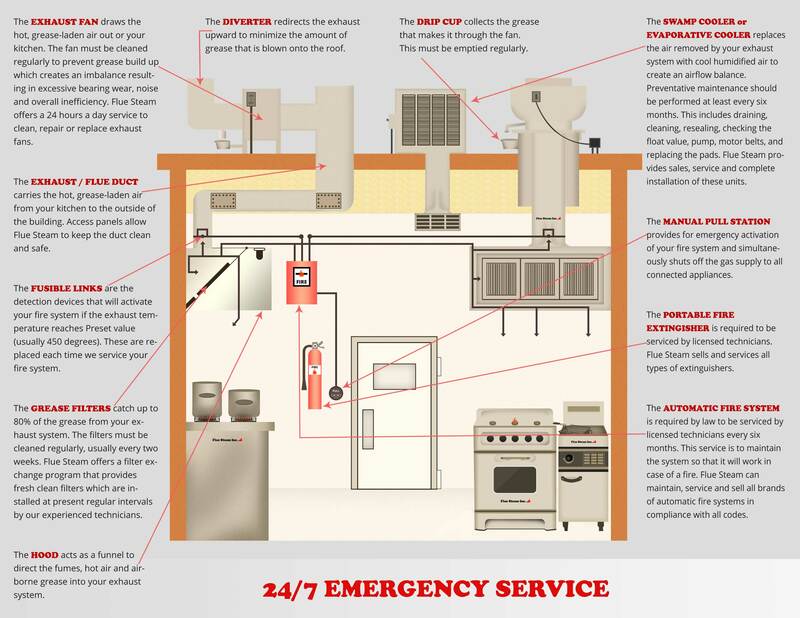 Plus if a hazardous situation does occur that results in damage to your kitchen, you’re going to have to close for repairs, which will lose your business valuable income. Don’t risk it! Set your commercial kitchen up for safe cooking in 2017 by establishing your partnership with Flue Steam today. Flue Steam has successful partnerships with many managers of commercial kitchens throughout Southern California. We’ve been providing quality commercial kitchen air control and fire prevention services to this area for over 48 years, so we definitely have the manpower and expertise to keep your staff cooking safely throughout 2017 and for many years to come. Our services will make your commercial kitchen much safer. 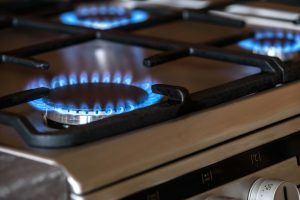 Commercial kitchens, when not taken care of properly, can be extremely places to work, but you’ll be able to rest assured when you partner with Flue Steam. Our services also improve air quality so your staff and patrons can always breathe easy in your restaurant or hotel. Establishing a partnership with Flue Steam will also make your commercial kitchen more energy efficient. A clean, grease-free kitchen is a more efficient one, which lowers utility bills and saves precious natural resources. Begin your partnership with Flue Steam and you’ll quickly realize that it’s such a load off from your busy schedule when you don’t have to worry about taking care of any of these essential tasks. After every kitchen exhaust system cleaning session, we provide “Certificate of Performance” stickers as proof that you have fulfilled your code obligations. Not only will code inspectors be glad to say them, your insurance bills may also be lowered! We welcome you to contact us today to talk about your commercial kitchen’s needs and how we can help your day-to-day operations run more smoothly. Call us at 800-700-FLUE or email us at contact@fluesteam.com. We look forward to making your commercial kitchen a safer place to cook every day. Cook up a storm – safely – when you count on Flue Steam for all your commercial kitchen air control and fire prevention needs. We’re here for you!